Pheasant Cottage is the larger of two beautiful barn conversions set high up in the North York Moors. This old sandstone barn has been lovingly refurbished with a comfortable but elegant touch. Stunning views from the surrounding hills and the gorgeous foodie town of Helmsley just 15 minutes away. The old rural charm of the building has been maintained with exposed brickwork and ceiling beams, and the interiors are finished with contemporary flair. The stunning open plan living space features a cosy lounge area complete with a wood-burner and comfy leather sofas. Fire up the burner and settle down to a movie (a DVD Player & Freeview are provided) There's also underfloor heating giving the whole house a warm and comfortable ambiance. The chunky oak dining table sits beside the kitchen and is the perfect spot to perch yourself with a glass of champagne while someone rustles up a storm in the kitchen. The well equipped kitchen comes complete with a fridge-freezer, washer/dryer and dishwasher for your convenience. 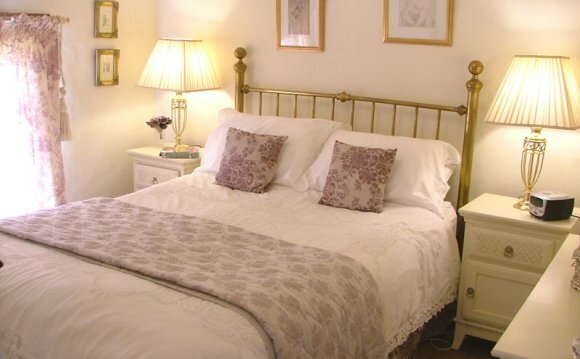 Pheasant Cottage has 3 spacious bedrooms, all en-suite so no queues for the bathroom in the morning. Two of the bedrooms are located on the ground floor and feature built in wardrobes, LCD TVs & shower room facilities. The master bedroom occupies the entire first floor and enjoys a super-king size bedroom, generous bathroom with bath and separate walk in shower and beautiful views out across the moors. To the front of the cottage is a small lawned area which looks directly onto the country estate, and to the rear a delightful sheltered patio complete with a BBQ for those balmy North York Moors summer evenings. A heavenly Yorkshire retreat for families and friends alike. The cottage is set high up in a picturesque valley in the western reaches of the North York Moors. Designated an Area of Outstanding Natural Beauty in 1987, the lush pastures and woodlands of the western Moors play host to grand country houses, atmospheric ruins and handsome market towns. There are some stunning walks right from your doorstep, and you are just a few miles from the famous Cleveland Way. The beautiful market town of Helmsley is within easy driving distance and is well worth a visit. If you fancy a little pampering you’ll find the Verbena Spa here; perfect for a little me time indulgence! You’re also close to Castle Howard, York and the North Yorkshire coast, so lots of choice for day trips.